It may happen that your contact details may end up in an unwanted place, and you begin receiving annoying iMessages spam from companies, or malicious people. Fortunately, you can use the “abuse report” feature to report the unwanted senders and report iMessage spam to Apple. It is risky to tap links sent by the unknown senders or call back. You can be in for a phishing scam. Also, the notifications will go off during the day and annoy you everytime. 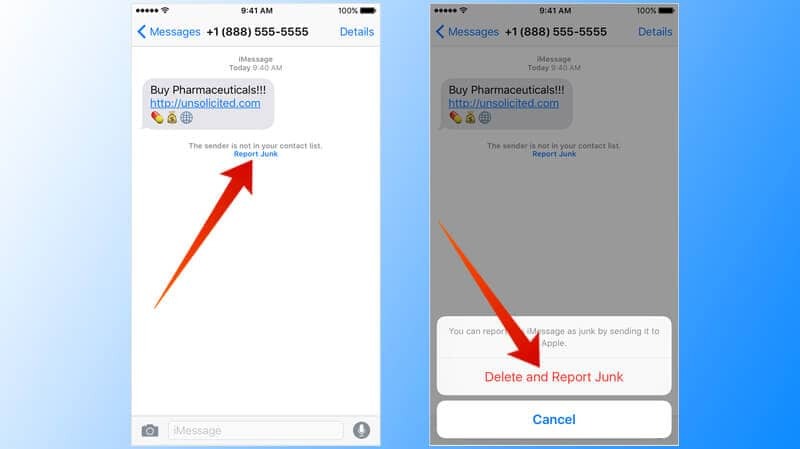 Reporting iMessage spam enables Apple to know who the sender is and what they say. If it’s a valid spam message, Apple may suspend the iMessage account of the sender. That said, it’s also possible to block the sender yourself. If you have iOS 10 or a firmware above, you get a “report junk” option beneath a prompt that reveals “the sender is not in your contact list” if an unknown person calls. After tapping the button, a prompt below the screen will allow you to report the iMessage as junk message to Apple or delete it. You can also cancel report if you change your mind. Screenshot of contents in the iMessage or text message. Time and date when it was received. Phone number or email address of sender. 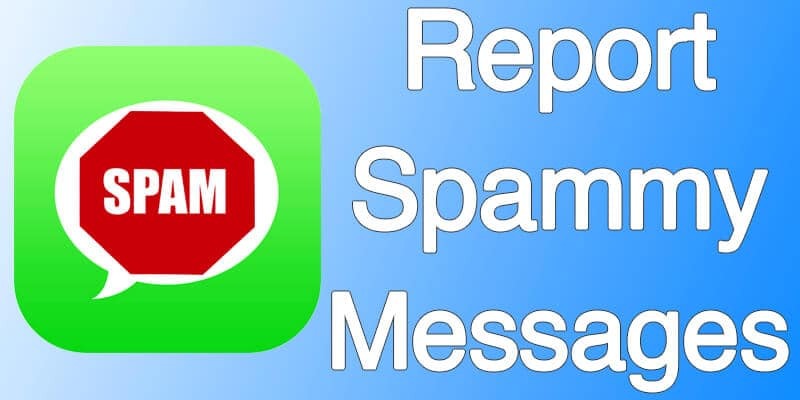 Reporting iMessage spam will allow you to stop harassments as well as prevent you from getting hacked. What to Do After Reporting? You’ve done the main thing. Now wait and see if Apple decides to take action and suspend the bothering party’s account. Or you can just block the sender to stop receiving messages from that person. That said, reporting is the key to getting rid of the problem. Roundup: Just note that the steps only work for messages that show in blue chat bubbles rather than green one (iMessages). Report spammy iMessages to Apple so that they can handle it. They don’t want iMessage abuse to happen, so let them know.